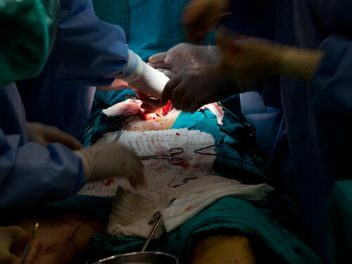 Lawsuits over fluoroquinolone antibiotics Cipro, Levaquin and Avelox say patients suffered aortic dissection or aortic aneurysm that required overnight hospitalization or surgery, or resulted in death, within one year of taking the prescription drugs. Patients have also sued for nerve damage and tendon problems. 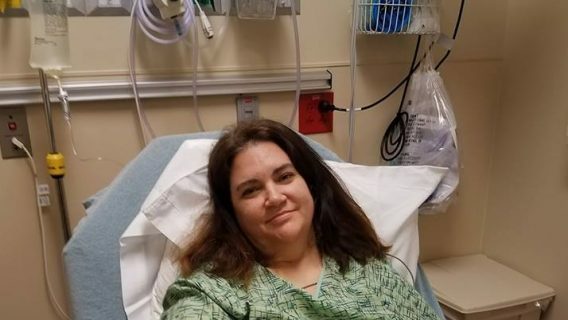 Patients who developed injuries, including aortic aneurysms and dissections, are suing the manufacturers of fluoroquinolone antibiotics, which they blame for harming them. Recent studies reveal taking fluoroquinolones doubles a person’s risk of developing major, life-threatening heart injuries. Lawsuits filed in the past resulted in settlements and a $700,000 jury verdict. Patients have also sued drugmakers about other antibiotic side effects, including permanent nerve damage (peripheral neuropathy), and tendinitis and tendon rupture. Recent studies from the FDA suggest that in the same way fluoroquinolones can weaken tendons — specifically the Achilles tendon — they can also weaken the aortic wall, leading to dissection or aneurysm. Fluoroquinolones are strong prescription antibiotics used to treat bacterial infections, including respiratory and urinary tract infections. Doctors administer the medications as pills or intravenously. These drugs, including Cipro, Levaquin and Avelox, are prescribed to millions of Americans each year. They remain popular because of they are highly effective. But some patients have suffered from serious side effects, prompting some to file lawsuits against manufacturers for compensation. The body’s largest artery, the aorta carries oxygenated blood from the heart to the rest of the body. Aortic aneurysm and dissection are major, life-threatening injuries. Aortic injuries can occur as a result of taking fluoroquinolones and may require surgical repair. These injuries can be abdominal or thoracic. They may have resulted in diminished quality of life, physical impairment, mental anguish, hospital and medical expenses and loss of earnings — all damages that can result in compensation. One federal New York case filed by a Pennsylvania man accuses Johnson & Johnson of negligence, fraud, failure to warn, among other wrongdoings. 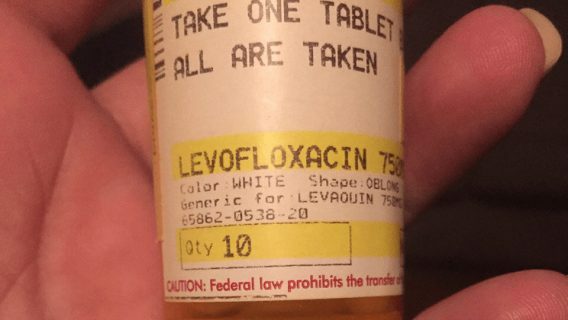 Benn Prybutok was prescribed Levaquin in May 2007. He later suffered aortic dissection that required surgical repair, according to his September 2016 complaint. Prybotok voluntarily dismissed the complaint in December 2016. Another man, Robert Vaughn, filed his lawsuit against Johnson & Johnson in federal court in Florida. He claims he took Levaquin and later suffered aortic aneurysm. That lawsuit, which was filed in June 2016, was dismissed in March 2017. Cipro (ciprofloxacin), Avelox (moxifloxacin) and Levaquin (levofloxacin) are brands of fluoroquinolones most often named in lawsuits. They have also been the most widely used antibiotics in the U.S.
Janssen Pharmaceuticals (a J&J subsidiary) discontinued making Levaquin and another fluoroquinolone, Floxin, in December 2017. Andrew Wheatley, a spokesman for Janssen, told Drugwatch in an email that the company now has no interests in any fluoroquinolones. Wheatley said unexpired Levaquin tablets may remain on the market until Sept. 30, 2020. Bayer, Johnson & Johnson, and Merck & Co. are among the manufacturers fighting lawsuits over aortic risks associated with their fluoroquinolone antibiotics. Companies being sued are those that developed, manufacture and market the drugs. Bayer HealthCare Pharmaceuticals, Inc. manufactures Cipro. The company also partners with Merck Sharp & Dohme Corp. to make and sell Avelox. Both companies are subsidiaries of pharmaceutical giants: Bayer HealthCare Pharmaceuticals is part of Bayer, and Merck Sharp & Dohme Corp. is part of Merck & Co.
Other companies being sued include distributors McKesson Corporation and Schering Corporation. The defendants deny that the drugs are defective or unreasonably dangerous. They also deny that their warnings were inadequate. Lawsuits accuse manufacturers and distributors of the top three antibiotics of selling products that are defective and dangerous to human health. Attorneys representing patients call the drugs “unfit and unsuitable,” and accuse companies of marketing and selling them to treat infections for which they were not required. As a result, patients experienced permanent and/or long-lasting side effects of using fluoroquinolones, the lawsuits say. Because the companies failed to adequately warn doctors of the risks, doctors could not inform and instruct patients. The companies’ failure to warn also led to patients’ receiving these drugs instead of other adequate antibiotics, according to complaints filed in federal court. There are currently no publicized verdicts or settlements for aortic injury lawsuits associated with fluoroquinolones. However, these injuries are not the only reported side effects of fluoroquinolones that have prompted lawsuits. People who took the three most popular drugs and subsequently suffered from peripheral neuropathy and tendon ruptures have also sued the drugs’ makers. 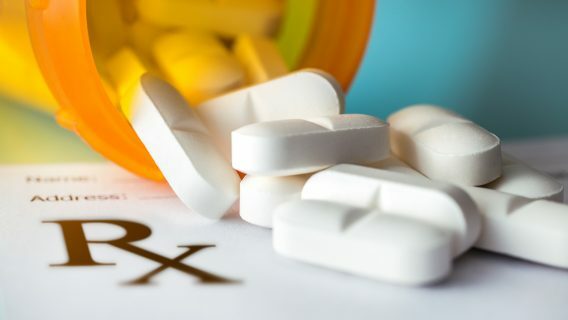 As of April 2019, there were 513 cases pending in federal court involving allegations that fluoroquinolone use causes peripheral neuropathy, a condition that develops as a result of damage to the peripheral nerves. These lawsuits claim the defendants — namely Bayer Healthcare Pharmaceuticals Inc., Merck & Co Inc., Johnson & Johnson, Janssen Research & Development LLC, and Bayer Corporation — failed to adequately warn patients of this alleged side effect. In August 2015, the U.S. Judicial Panel on Multidistrict Litigation ordered all federal neuropathy cases be transferred to the District of Minnesota for consolidated pretrial proceedings. The panel assigned the cases to U.S. District Judge John R. Tunheim. At the time, about 80 actions were pending in nearly 40 federal districts. Additional cases (some of which were transferred to the MDL) were also pending in state court in California, Pennsylvania, New Jersey and Oklahoma. The federal MDL had reached 1,212 actions as of September 2018. Several have been settled for confidential amounts, according to court documents. The federal court scheduled bellwether trials in 2018 and 2019. These trials are intended for both sides to test their arguments, with the goal of moving the overall litigation toward resolution. During a Feb. 21, 2017 status conference, counsel told the court that both sides made their bellwether selections, including four cases each involving Avelox and two cases each involving Cipro. Both parties selected the same two Cipro cases and agreed that they would proceed with 10 bellwether cases, including eight Avelox cases and the two Cipro cases. The litigation is now in the discovery phase, which is when both sides disclose all relevant facts and documents to one another prior to trial. Judge Tunheim also oversaw pretrial proceedings for a separate MDL involving Levaquin. Plaintiffs in that MDL were prescribed Levaquin and allege that it causes tendon rupture. Plaintiffs in the tendon rupture MDL claim the defendants, Johnson & Johnson and Ortho-McNeil Pharmaceutical Inc., failed to adequately warn of the side effect. The plaintiffs began filing lawsuits in late 2006. The MDL was created in 2008. Around the same time, the FDA added a black box warning to fluoroquinolones for the increased risk of tendinitis and tendon rupture. In November 2010, the first bellwether trial was tried against Ortho-McNeil Pharmaceutical Inc. and resulted in a jury verdict in favor of the plaintiff. The jury awarded the plaintiff $700,000 in compensatory damages, which was later reduced to $630,000. The jury also awarded punitive damages in the amount of $1,115,000. The second and third bellwether trials were tried in June 2011 and January 2012, respectively. Both resulted in jury verdicts in favor of Johnson & Johnson and Ortho-McNeil Pharmaceutical Inc.
About 2,049 total actions were filed under the MDL. Records show hundreds of cases ended in settlements. Others were transferred or remanded and subsequently dismissed. Only 10 remained pending as of March 2017. The U.S. Judicial Panel on Multidistrict Litigation officially closed the MDL in July 2017. The U.S. Food and Drug Administration requires all fluoroquinolones to carry the agency’s strongest warning about a heightened risk of developing permanent nerve damage (peripheral neuropathy), and tendinitis and tendon rupture. In December 2018, the agency announced it is requiring a new warning about the risk of aortic ruptures or tears. The FDA noted the aortic injuries can occur in patients who take the drugs orally or through an injection. The agency cautioned against the use of fluoroquinolones in patients who are at increased risk. Such patients include the elderly, people with certain genetic disorders that affect the blood vessels, anyone with high blood pressure and patients with a history of aortic or blood vessel blockages or aneurysms. An epidemiologic study published in the Journal of American Medical Association in 2015 found fluoroquinolones were associated with a two-fold increase in risk of dissection and aneurysm within 60 days of using the drug. A second epidemiologic study published in BMJ in 2015 found a nearly three-fold increase in the risk of aortic aneurysm and dissection. Researchers concluded that the results demonstrating a higher rate of aorta problems within 60 days of fluoroquinolone therapy are consistent with tendon-rupture findings. Moreover, one of the studies revealed that risk of heart trouble may still be significantly increased even a year after taking one of these drugs. According to the JAMA study’s authors, fluoroquinolones have been associated with collagen degradation. This raises concerns related to more serious collagen disorders with the use of these drugs. Collagen degradation is recognized as a possible cause of tendon rupture. According to the BMJ study, the same collagen that makes up the majority of the Achilles tendon also makes up 80 to 90 percent of the aorta. For years, fluoroquinolones have been linked to serious side effects. In fact, many fluoroquinolones have been removed from the U.S. market because of their risks. Wheatley, A. (2018, July 19). Email to Drugwatch.com re discontinuation of Levaquin. U.S. Judicial Panel on Multidistrict Litigation. (2015, August 17). Transfer Order. Retrieved from http://www.pacer.gov.